Techies all over the world know about the pain of layoffs and less salary hike. Especially in India 2017 is had been a bloodbath for Information Technology field, According to the survey of Quartz India 56,000 software engineers lost their job and many number of techies are worried about their low salary hike..! !It’s worst to hear about the status of the new job opportunities available for the beginners in IT. India’s largest IT giants TCS & Infosys have reduced their headcounts!! To be particular Infosys cuts 9,000 jobs.Meanwhile…There are huge amount of vacancies available and many number of job positions are not filled up because of the lack of the skills, to be particular there is a huge demand for Big Data developers, Data Scientist, Automation Testers, RPA Engineers & MEAN Stack developers. Solution…?Doing Certification Courses in the certain software or field is the only option to make yourself an asset to your company..!Here we have listed the Top 5 Important Certification Course in 2018..! Data Science is a knowledge of various fields which consists of planning, methods, process and extracts the knowledge of the system or idea from the data which is in multiple formats that might be organized or unorganized like Data Mining. Data Science really very useful for managing large sets of data from the huge level of businesses which is using various algorithms and analysis. Essentially Data Science identifies the data insight.One who do all the above tasks is called as a Data Scientist. Our Data Science Certification training will help to get all the required Data Scientist skill set which the recruiters expecting from You. Credo Systemz also provides Data Scientist Certification program in Chennai, Here our Data Science Certification program includes R Programming concepts, Machine Learning, Python Programming, Implementation of Data Science techniques in R & Python programming. AWS is actually a subsidiary of Amazon.com which provides cloud computing platform on demand for many organizations. A secure could services platform which offers database storage, content delivery, compute power and other functionalities which help in business growth. With the help of AWS you can build your own application with increased flexibility, reliability and scalability. AWS Cloud provides facilities such as computing power, storage options, networking and databases in a set of infrastructure service. To be accurate AWS provides over 90+ services which include data warehousing to deployment tools and directories to content delivery. 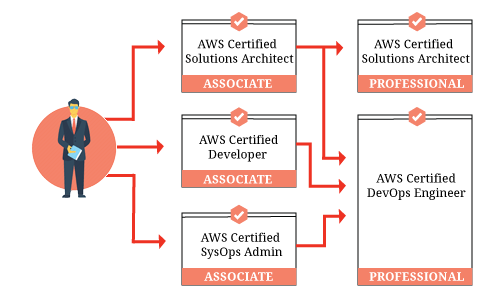 Credo Systemz provides AWS training with certification, Our trainers here handles more than 20+ important AWS services with real time case studies. 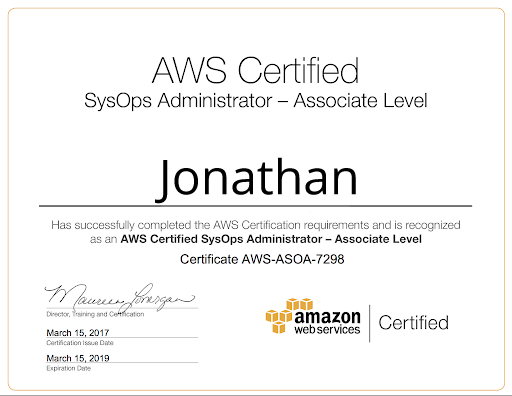 The AWS course content that we provide is suitable for applying AWS associate level certification examinations. 90 minute exam – Based on MongoDB 3.6This associate level MongoDB certified developer examination is for the individuals who having the basics fundamental knowledge in MongoDB. 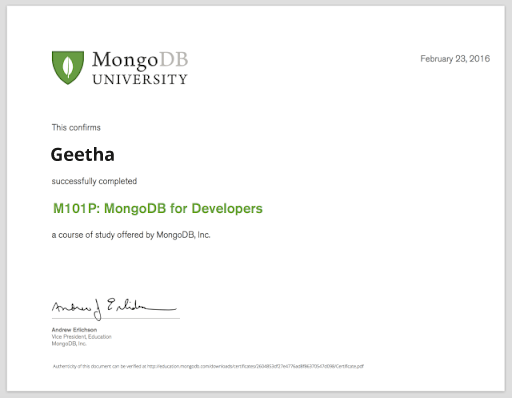 Our MongoDB training course provides all the topics from the introduction of MongoDB to Indexing.Software engineers who having knowledge in MongoDB fundamentals or MongoDB certification courses can easily clear the exam. Node.JS foundation organization provides official certification for Node.Js, this certification program is named as NCD Program. Complete details about the certification course is mentioned in foundation.nodejs.org.Node.JS foundation group has collaborated with Linux foundation to provide this certification. Robotic Process Automation(RPA) is defined as the process of automate the business process using software robots. RPA helps to boost your business by scalability, flexibility and fasten the processes handled by humans. This RPA robots are also easy to use, training the robots is also easy.RPA’s also reports the tasks performed by them which help you to monitor the tasks easily and also you can design them to perform a vast range of tasks. Big Data / Big Data Analytics / Hadoop / Data Science all these are the latest sensation in IT fields. The term big data is referred as the large amount of data, We all know that data is everywhere and each and everyone is looking out the data to perform a tasks regardless of domains.Big Data is implemented in different domains which results in more number of job opportunities. Also the job roles available is also many numbers from which you can choose the one which suits your skillset. 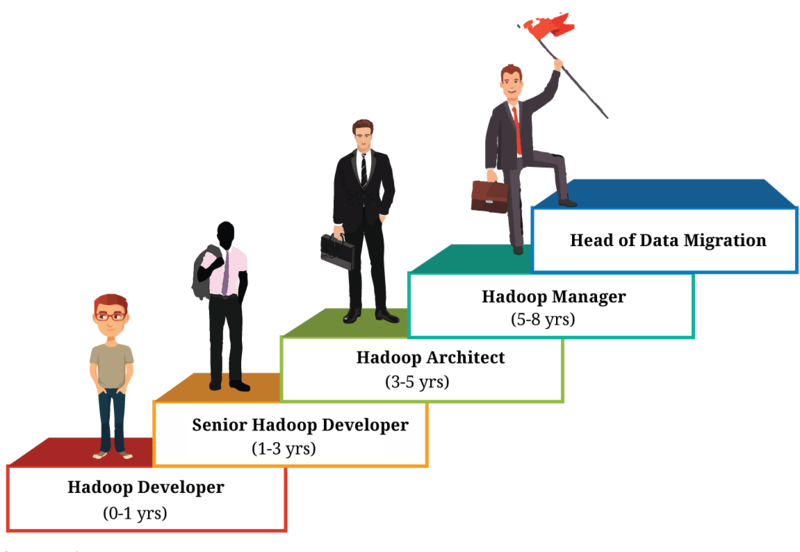 Big Data – Hadoop job opportunities are in huge amount according to the tech report across the internet. To be more particular from the past twelve months IBM, Cisco & Oracle has posted 26,488 jobs. Top Hadoop Certification Providers: Computing Technology Industry Association (CompTIA) survey report states that recruiting team members showing more interest towards the certified candidates than others. Are you still uncertified!? Worried about getting a Certification!!? 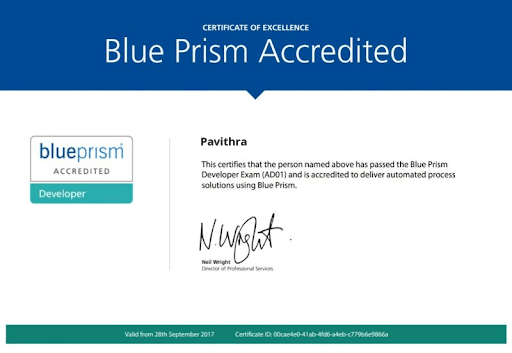 ?Here is the best part;Credo Systemz the pioneer of Software Training Institutes in Chennai has simplified the process of getting certifications for entry level and experienced professionals. Our different set of certification programs from basics Java to Data Scientist will help you to learn the concept practically, from which you can get hands-on real time experience and clear the exam as easy as possible.